Congrats. NIce blog. Very interesting. Congrats. I can only aspire to be as big a hit as you! Come on…your blog is much better than mine. Check out his blog – great work. Congrats–that is a big accomplishment. It is….I hope the blog will continue to grow. congratulations big man!! gwan do yuh ting! this is just the beginning. How long have you been up and running now? This is a great achievement. Since May of 2009. Thanks so much. You have a very interesting VOICE my friend! Use it and congrats!! I hope to make sense and be relevant each day. Thanks May. Thanks for the visit man, it’s appreciated. Congrats Corve! I have been reading and loving what I’m seeing, keep motivating and inspiring others with your words and social platforms! Blessings! R.
Come back soon. Expect great changes to this blog in the few days. The best way to get people interested is to be interesting and you are. 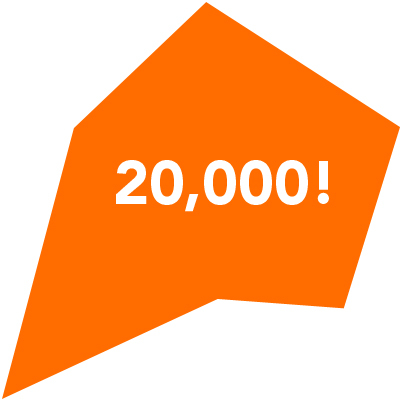 Congratulations Corve and here’s to 20,000 more!!! Corve, my brief comment is “Congratulations”. You obviously have mastered your content and have presented it in a way that your readers/fans appreciate. Although my comment is brief, it is truly meant to inspire you to continue your work. I’m not sure how long you’ve been out there, but nevertheless another 20K is certainly an accomplishment. I wish you greater successes in the New Year. Peace from Period, Case-Closed. Thanks so much for this comment. Please come back soon.